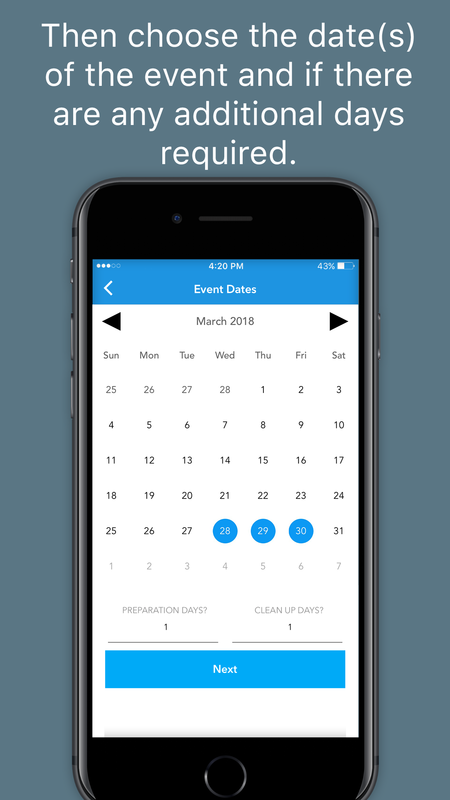 From general contractors to wedding planners many people need an efficient way to get the important information (exact location, date and time) in the hands of the people that need it most. 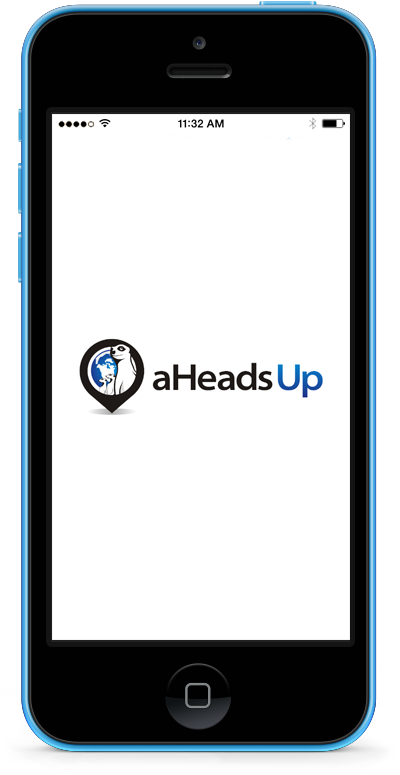 aHeadsUp does that in a way that is so fast you will wonder why no one thought of it sooner! 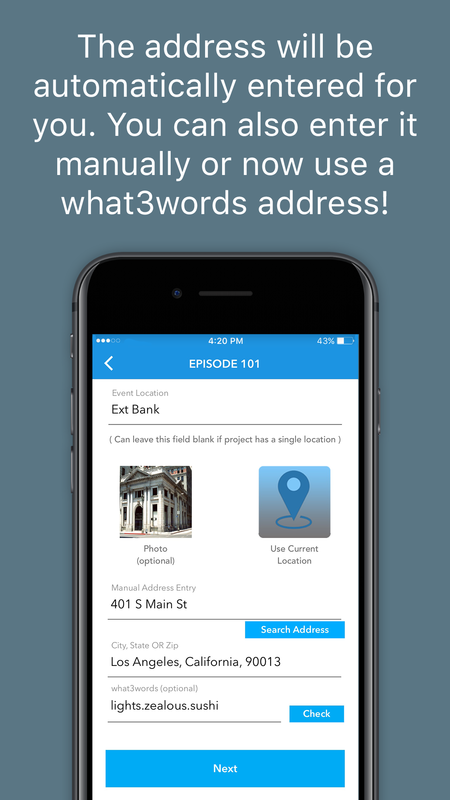 Our goal is for you to be able to notify your team in under a minute. 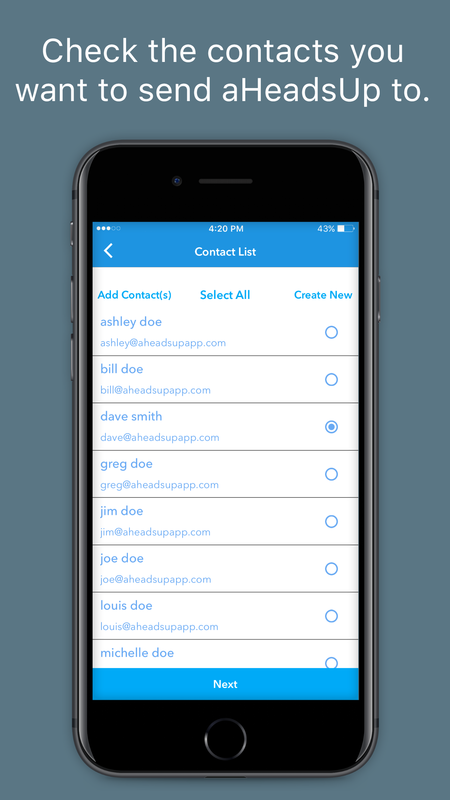 Create a special contact list for your team, vendors or friends. Use phone, Facebook and Google+ contacts. 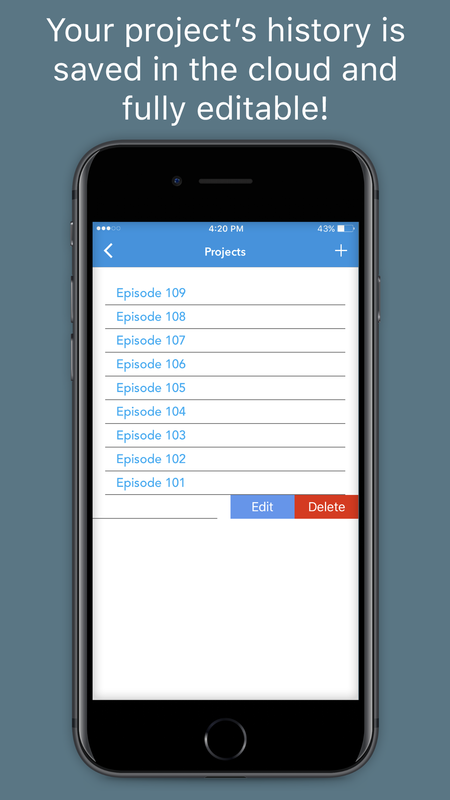 Use as a checklist and never forget to inform one of your team members. 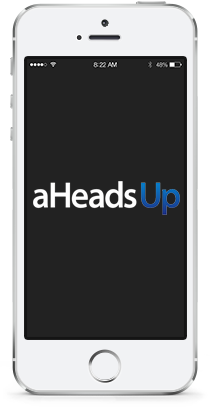 Easily create a calendar entry for your event that is included in your aHeadsUp notification. 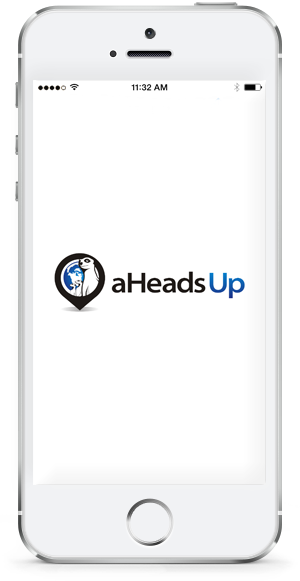 Uses GPS to pin the location on-site or manually add and automatically send a map in your aHeadsUp notification. 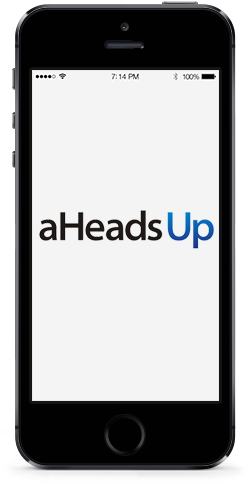 Edit and follow up on your aHeadsUp notifications from your web browser. 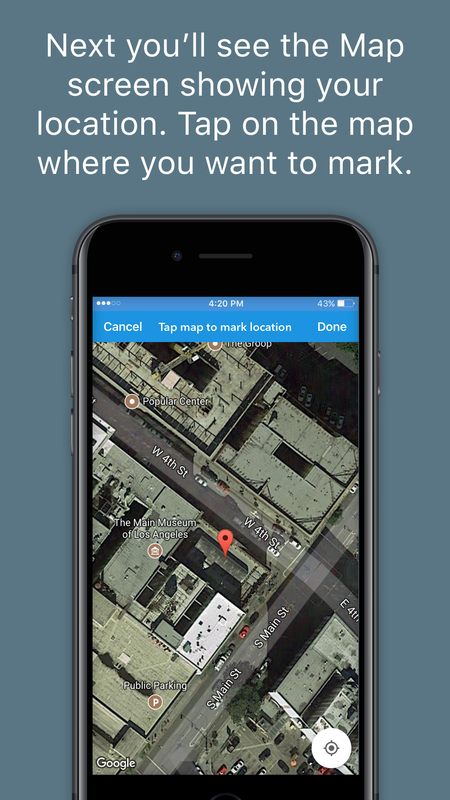 iOS and Andriod versions available (more platforms coming soon). Designed with simplicity and speed in mind. 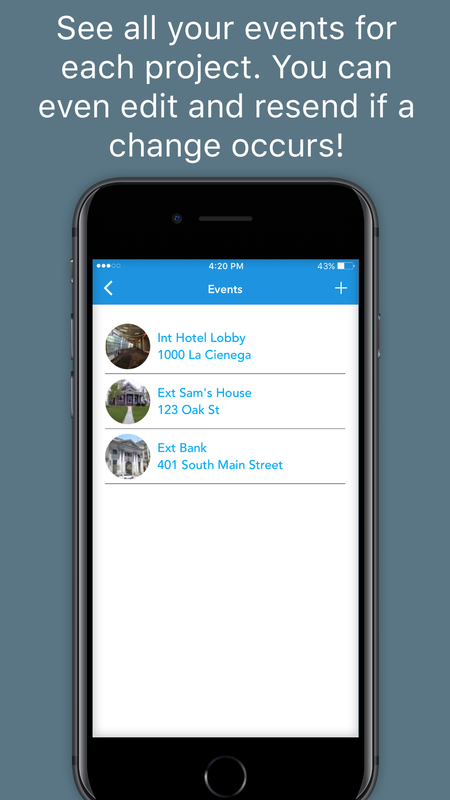 Convey the location and date for your event to your contacts in seconds. Keep your team up to date with just a few clicks. Save 20% by selecting the annual subscription. 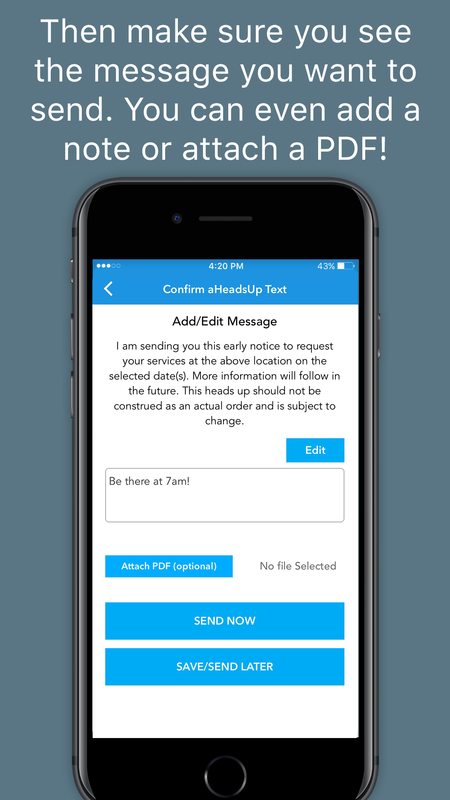 This app has truly made my job easier by allowing me to contact all my vendors with a few clicks! 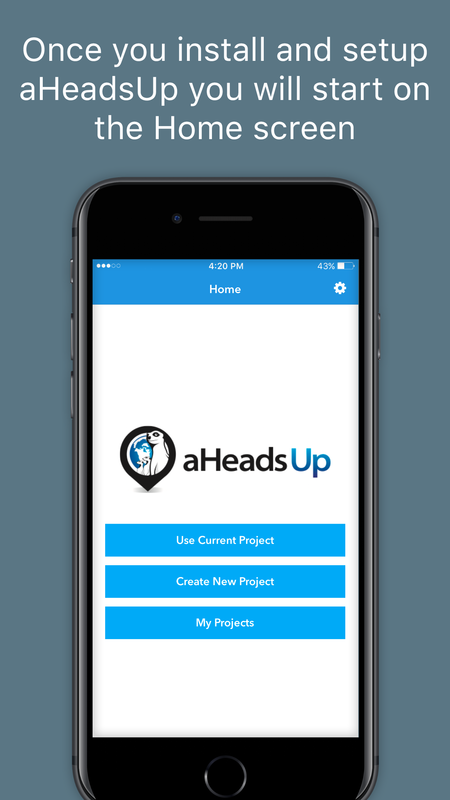 I use aHeadsUp to quickly relay job site information to my contractors and it helps me efficiently manage multiple projects at the same time. 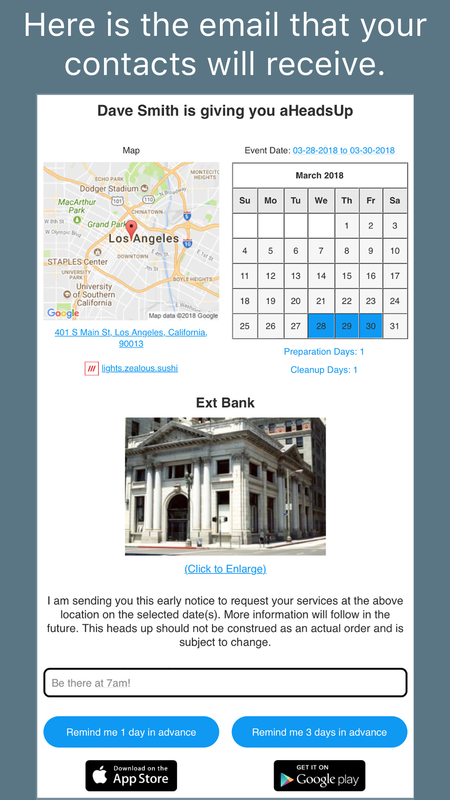 You can also subscribe to our newsletter for updates.